Check-in to Hoffman Haus between 3 and 5pm. Go out for an early dinner at Otto’s Bistro, where you can sample regional German cuisine and a stellar wine selection. Take a walk down Main Street and check out Fredericksburg’s array of art galleries. Each gallery serves wine from local wineries. First Friday of each month until 8pm. Finish off your evening at House.Wine, a wine bar with home furnishings and wine for sale. Breakfast at 9am, delivered to your room. Fredericksburg has a variety of shops to choose from, whether you are looking for clothing, antiques, toys, home wares or jewelry. Have lunch at the Peach Tree Tea Room, known for their sandwiches, soups, salads and desserts. It tends to get busy on the weekends. If you find yourself waiting for a table, check out their cute gift shop. Hop in your car and check out the off-Main Street shopping. 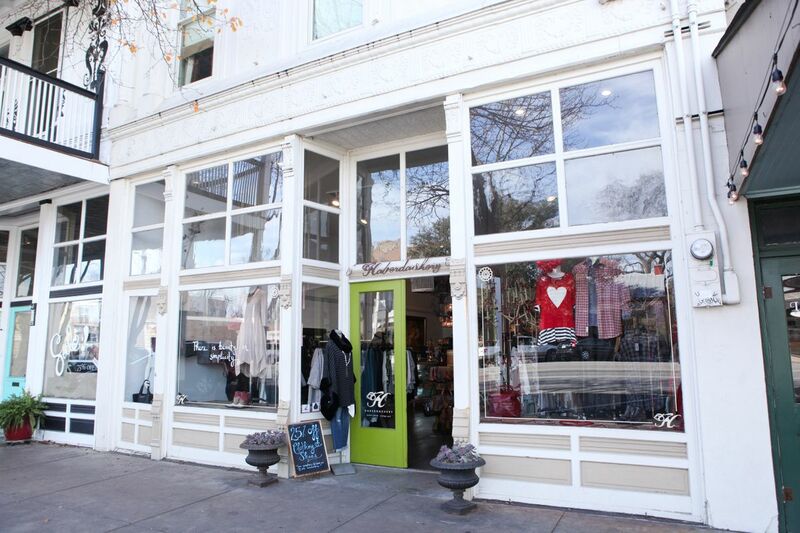 Start at The Shops on Llano, a consignment shop with an eclectic collection of furniture, clothing and home wares. Carol Hicks Bolton Antiques boasts 14,000 square feet of antiques sourced from Europe and beyond. With a collection of vintage and new home goods, Smitten is an ideal shop for decorating your house or finding that perfect gift. Enjoy refined Southern cuisine with Mexican, Cajun and Caribbean flavors at Navajo Grill. On your way back home, take a short diversion to Comfort, TX, a quaint town known for its antiques and gifts. Just a 20 minute drive from Fredericksburg. Our favorite shops in Comfort: Cypress Creek Antiques, Downright Texas Antiques, and The Elephant Story. Before you leave town, stop in at the High Cafe, a fun and funky place to have lunch with a menu with fresh ingredients and an enticing gift shop.